I learned to dance tango in Buenos Aires about two years ago. Now, whenever I travel I carry my dance shoes and I look for fellow tango-addicts. I found one in Rafa. He is a great dancer and teacher, and his passion for the dance and music is addictive. He even made me dance to breakdance music (watch the video: https://www.youtube.com/watch?v=Le_VTG4jc2s&list=PLV9F0xwXtqYwlvAvfqcUUQABXnlQ_e8Hs&index=10) and I loved it! Whether you are a beginner or already have some dance experience, Rafa can teach you: not only steps, but the tango lifestyle! Rafa is a fantastic artist and instructor! After seeing him dance at Mundo Bizzaro, my fiancee and I booked a private Tango lesson with Rafa. We learned much more than just the right steps... the passion, the art, the elegance. His love of Tango is evident through his performance and instruction. I highly recommend taking lessons with Rafa! 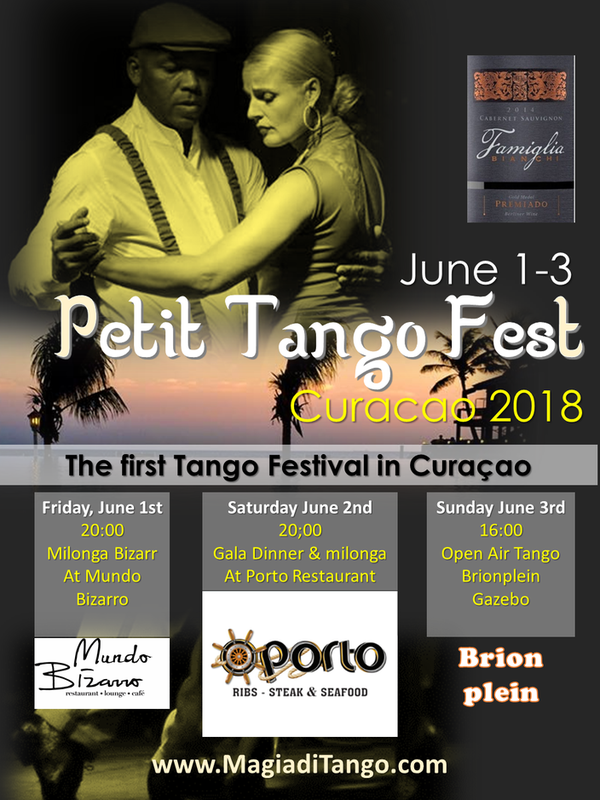 My favorite tango couple and the best friends in Curacao, dushi Rafa&Mady! They are highly recommended dancers for your event! I contacted Rafa after seeing him and Mady dancing in Mundo Bizarro. They took my breath away with their charming and passionate moves on the dance floor. I took 3 private classes with Rafa and was impressed with his skills, approach as teacher and knowledge about tango. He was very patient and encouraged me to break my fears. After first lesson I could dance basic steps!!!! I couldn’t believe! I have always considered myself as born with “two left feet” and now I dance tango! Thank you Rafa for introducing me to tango, you are an amazing, enthusiastic teacher and dancer, I regret my vacation is over otherwise I would extend my classes. I wish you and Mady all the best!